TOKYO — Japanese electronics company Toshiba Corp. said Thursday the sale of its computer memory chip business to a consortium led by Bain Capital Private Equity has cleared all anti-trust regulatory approval, including one it was awaiting from China. That means the deal, valued at 2 trillion yen ($18 billion), can now close by June 1, Tokyo-based Toshiba said. Toshiba, which also has railroad and nuclear energy units, was counting on the deal for a turnaround. Its U.S. nuclear operations at Westinghouse Electric Co. filed for bankruptcy last year. Toshiba's massive red ink in recent years began with reactors it has been building in the U.S. which are still unfinished, partly because of beefed-up safety regulations following the 2011 Fukushima nuclear disaster in northeastern Japan. Initially, Western Digital opposed the sale of its NAND flash-memory SanDisk joint venture with Toshiba, starting lawsuits. Toshiba first announced the sale of its chip business, called Toshiba Memory Corp., in September last year. The dispute with Western Digital was settled late last year, with it and Toshiba Memory Corp. agreeing to continue their collaboration in flash memory. Toshiba Memory will be acquired by a special company called Pangea formed and controlled by Bain's consortium, which includes South Korean and U.S. companies but comprises mostly Japanese investors. Bain welcomed the approval from Chinese authorities. "All antitrust approvals have now been received and we are looking forward to closing this investment," it said, stressing that it hopes its chip business will grow. "This consortium of companies brings together leading industry players who will invest significant resources and work together to help ensure the semiconductor industry remains highly competitive and can respond to fast-changing demands," it said. Toshiba's financial woes were so serious that auditors refused to sign off on its financial statements last year. Founded in 1875, Toshiba has long been one the most revered brands in Japan Inc. But its image has been badly tarnished in recent years by a scandal over company officials doctoring accounting books to meet unrealistic profit targets. Toshiba reported earlier this week that it returned to profit for the fiscal year through March, a reversal of the red ink racked up the previous fiscal year. The results assumed the completion of the chip sale by the end of June. Toshiba said in a statement that it will "promptly announce any matters related to this transaction that require further disclosure." Toshiba also has a new president, Nobuaki Kurumatani, tapped from outside the company, with experience in the financial sector and public relations. His appointment is widely seen as an effort to put a fresh face on the company. Kurumatani has acknowledged the system of governance and risk management had been weak at Toshiba. He told reporters that the company will withdraw from all overseas nuclear operations, and the future of the energy business is moving toward renewables. But decommissioning the Fukushima Dai-ichi nuclear plant, where three reactor cores melted, will remain for years a major part of Toshiba's business, as well as running and decommissioning dozens of other nuclear reactors in Japan. Toshiba has been gradually selling off pieces of its operations, such as its medical equipment and household appliance units. But the key sale was its prized memory business. 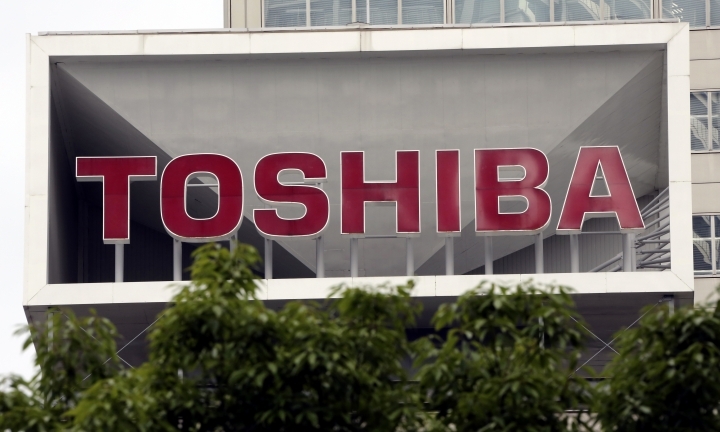 Toshiba had repeatedly said regulatory approval was expected soon.